The Making of Eric's Disembodied Head. 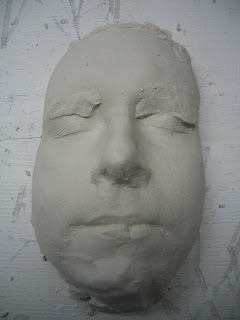 The next step is to remove the imperfections, and create a latex on top of the bust. Stay tuned for the finished mask, and the final dream proof of concept! So we've finally moved away from the solitary scripting and storyboarding phases, into the more tangible. Specifically to figure out if we can do the special effects we need to in order to complete the dream sequences that are the centerpoint of the story.